From breaking the morning haze to experiencing mid-day brain fog, we’ve all struggled to feel energized throughout the day. Our founder Chef Lindsey says, “It's important to always have slow-burning energy foods for breakfast and lunch so you feel great all day without crashing.” So many of us fail to realize that how we feel is often directly linked to what we eat. Properly fueling your body starts with knowing which foods will best benefit you and why. Let’s break it down. Proteins, complex carbs, and good fats are key to you mastering the day. Good fats allow your body to produce twice as much energy per gram of fat than it would with carbs or proteins. Complex carbs are slowly burned for energy, and proteins are an even slower burning energy source used by your body. By eating a combination of these food groups, your body will gradually break down the nutrients to help keep you fueled throughout the day. 1. All hail avocado! Looking for some good fat? You’ve found it! Avocado is a wonderful source of healthy fat that can help your body fight off diseases. Adding a serving of this fruit can also help provide added nutrients like vitamins B, C, E, and K. For a nutrient-rich breakfast, eat mashed avocado on a sweet potato, topped with spirulina and chia seeds. 2. Free-Range Eggs contain high quality protein and are a great source of brain-boosting choline and healthy cholesterol. They have more anti-inflammatory omega-3’s than typical eggs and provide all 9 essential amino acids. Try to eat free-range eggs whenever you can. 3. Sweet Potatoes are a popular complex carb that can add a great mix of supplemental nutrients your body will love. They have a high water content, along with filling fiber, electrolyte-balancing potassium, and immune-boosting vitamin A. Swap out bread rolls for toasted sweet potato “buns” when you have sliders. 4. Berries to the rescue! Blackberries, blueberries, strawberries and raspberries are complex carbs that can help strengthen your immune system and aid in digestion. 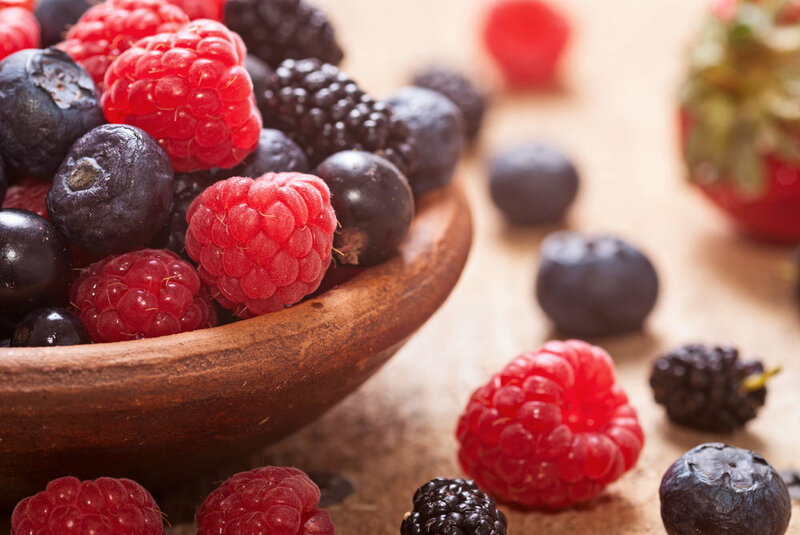 The added minerals and antioxidants in berries can also help keep your mind clear and attentive. Remember to always go organic since conventional berries are part of the “dirty dozen” and are high in pesticides. 5. Almonds can work wonders! Enhancing your meal with a serving of almonds adds fiber and protein needed to help promote productivity. Not to mention, your body will thank you for the added vitamin E, which helps prevent aging. Fight the slug! You can do it! Eating foods with essential nutrients for energy should be a priority, starting one day at a time.